I dream of a day when I can grow tomatoes, right next to the corn, smack dab in the front yard. 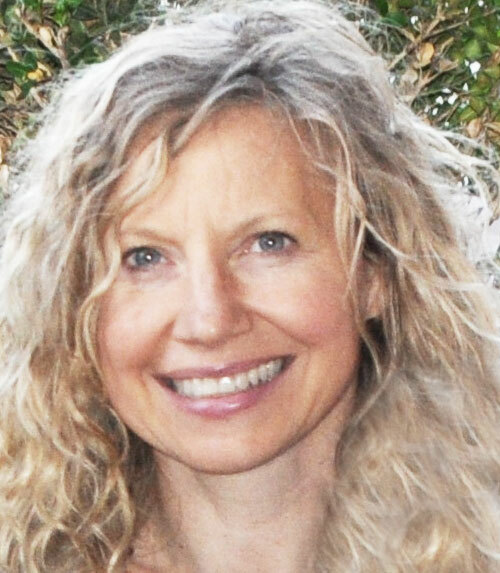 Why hide those gorgeous vegetables in the back? Besides, my best light is in the front… my tomatoes are never ready before frost in my shady back yard. But, until the day comes when people realize that wholesome food is beautiful, I’ll improvise — with a Secret Vegetable Garden. One of the best ways is to grow “pretty” vegetables. Three of them you can find in the seed carousel at your local supermarket. 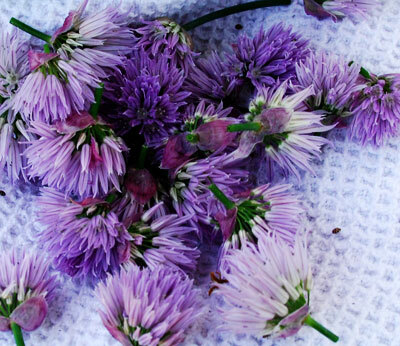 Bachelor Buttons: Cornflower blue… bright blue, white, pink and red… and just imagine this in your salad — or your soup. (Maybe fried, like a crouton?!) So easy to grow… and they re-seed, all by themselves. 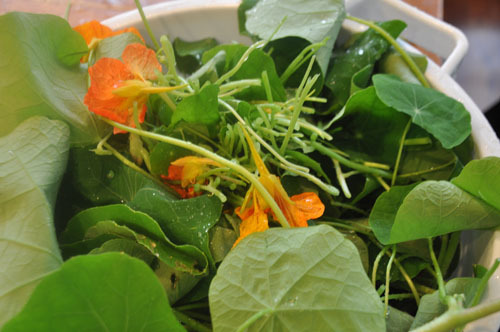 Nasturtiums: This is a close cousin, in taste to Arugula. Peppery… and so good in a steak salad. 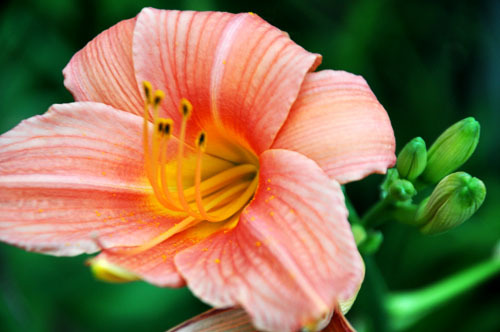 I write about this flower all the time, because I use it in so many ways. 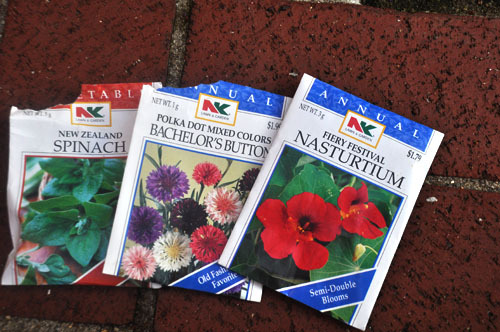 Nasturtium is a flowering vine that is perfect for containers, window boxes or ground cover. Bright orange, yellow and red flowers. 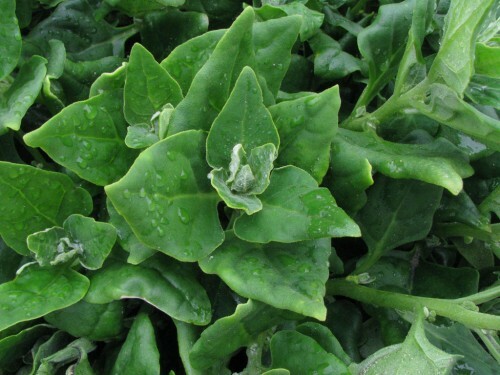 The entire plant is edible… leaves for pesto, and flowers fried. The plant also forms little pods that are called poor man’s capers. Sweet Potatoes! 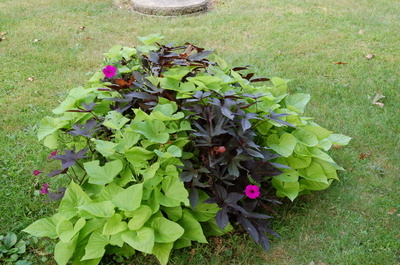 The edible tuber producing sweet potato also produces the vine that you see in ornamental containers. Just ask the nursery to give you edible sweet potato — or producing vinew. If you can keep the rabbits away… you’ll have a nice crop to harvest come fall. Chives: Makes a pretty vinegar. 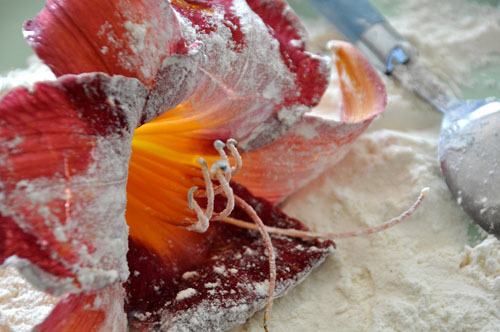 The list of edible flowers is long… you’d be surprised. Carnation, Impatiens, Marigold (as a substitute for Saffron… which is quite expensive) Lilac (couldn’t believe it) and Peony — who knew?! Please be careful. Daffodils, Crocus, Sweet Pea, Clematis, Fox Glove and Hyacinths are Poisonous. Stay away. If you’re in doubt, please check with the County Extension Office. Still, there are hundreds of way to eat from your front yard, without anyone really knowing, you’re secretly growing a load of vegetables. command typically the insect pest inhabitants in the all-natural technique. However, it is also a very challenging profession for those relying on this specialization to earn their living. to see this site, it contains precious Information.